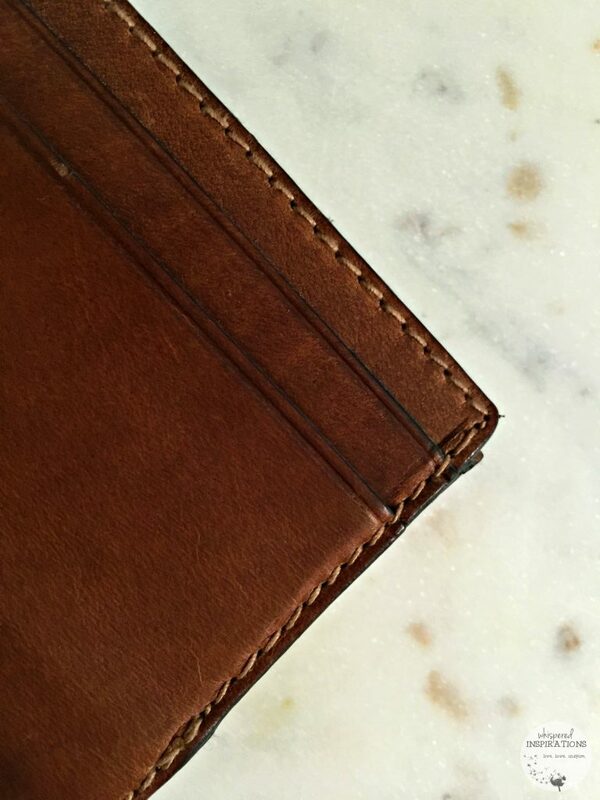 The NOMAD Horween Leather Charging Slim Wallet. Yes, it’s totally a thing. 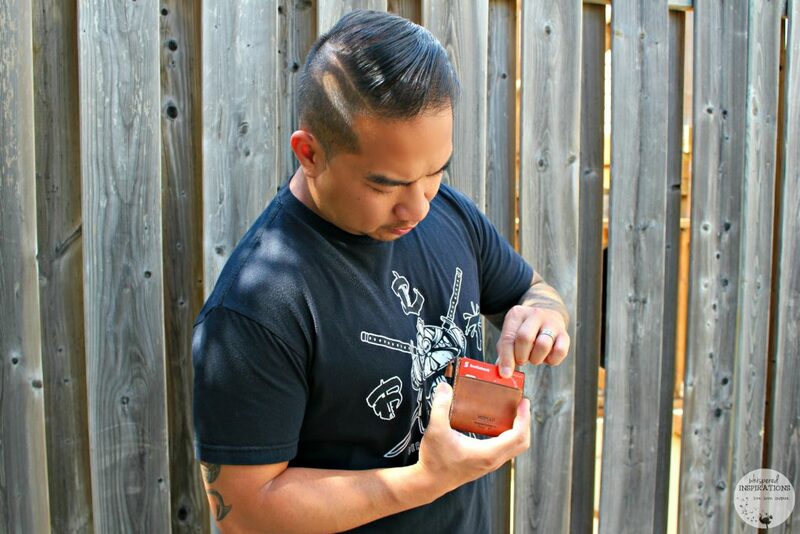 Just as the name states, it’s a gorgeous wallet made with quality Horween leather and it is an Apple certified charger. That means that no matter where you go, you will possess the power to recharge your devices and that power is now in your pocket. Working digitally, one of the things that I worry about is being on-the-go and running out of power on my devices. I rely heavily on them and if that battery percentage hits zero, well, that would not be a good thing. That is one of the reasons that I always carry my trusty NOMAD Charge Key and portable charger wherever I go. It has saved me so many times and since it’s so small, it’s easy to take with me all the time. Darasak is a large contributor on this site and when we travel, having him fully powered is a must as well. Whatever needs to be done business-wise, he is able to do on his phone for me. Let’s face it, most guys like to pack light and will often only grab their iPhone charger and other essential cords. But, that leaves them desperately searching for power outlets in airports, cafes and lounges to plug-in to. If you’re lucky enough to find a charging station, almost every single time, you will find other desperate power-seekers huddled and tethered to the outlets. Sometimes, you aren’t fortunate enough to plug in. Well, they have solved that issue with their charging wallets. In fact, it’s quite genius. 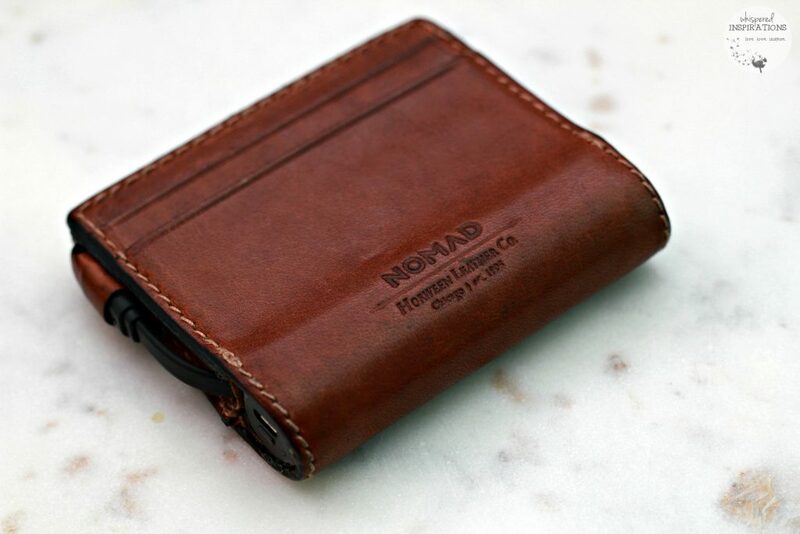 NOMAD has designed a beautiful leather wallet made from 100% American leather supplied by the renowned Horween Leather Company of Chicago, Illinois. They are a historic and family owned and operated tannery with over 100 years of continued leather tanning tradition. Darasak loves slim wallets and he appreciates quality and good craftsmanship. Almost every wallet he’s owned has been a slim one, that’s why he claimed ownership off this beautiful slim wallet. When we first saw it, we were taken aback at what a gorgeous piece of hide it was. It was slightly a bit larger than expected but, with the card slots and storage placed strategically, it is remarkably very slim and surprisingly light. Very light, actually. The best part is that it is discrete and unless you tell someone, they would never know that your wallet is a charger. It’s beautiful and I’m a sucker for the smell and feel of real leather! So, when it comes to packing, well, you don’t have to pack something you always carry. Hence why the wallet that charges is brilliant. The style is traditionally a bit more masculine but, with that said–it’s beautiful enough to use as a woman too. I can slip it into my swing back and I will never see that 0% on my devices. Ever. Plus, it holds all my cards and cash too! NOMAD has released two styles of this wallet, a bi-fold wallet that holds 6 cards, 2 storage pockets and a cash pocket as well. The slim wallet holds up to 4 cards and has 1 storage pocket. 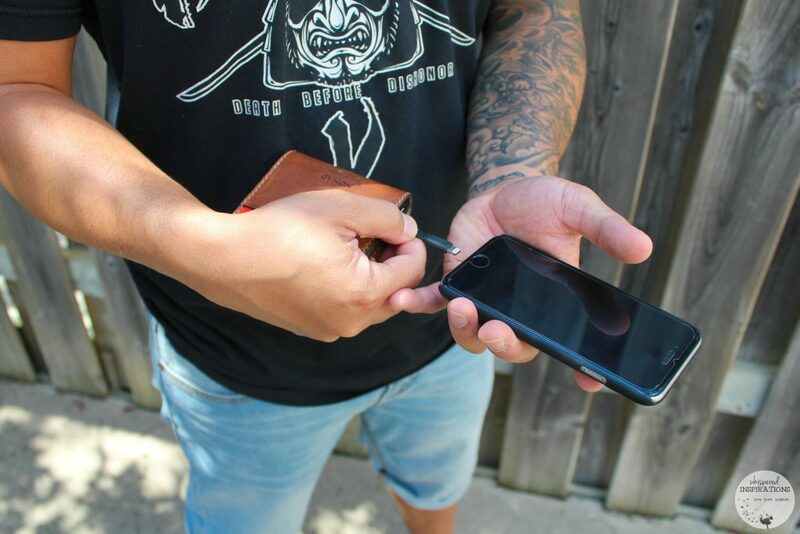 Both wallets have RFID blocking tech so you can keep the electronic pick-pockets out! With credit cards and debit cards with tap options, it’s easy to lose a lot of money if you don’t protect yourself. So, this is a huge plus for me. Of course, both wallets have sleek and discrete 2400 mAh high density lithium-ion rechargeable batteries. The bi-fold battery is built-in to the spine of the wallet and the slim has the battery built-in to the base. The wallets work with iPhone 5, iPhone 5c, iPhone 5s, iPhone SE, iPhone 6, iPhone 6 Plus, iPhone 6s and iPhone 6s Plus. 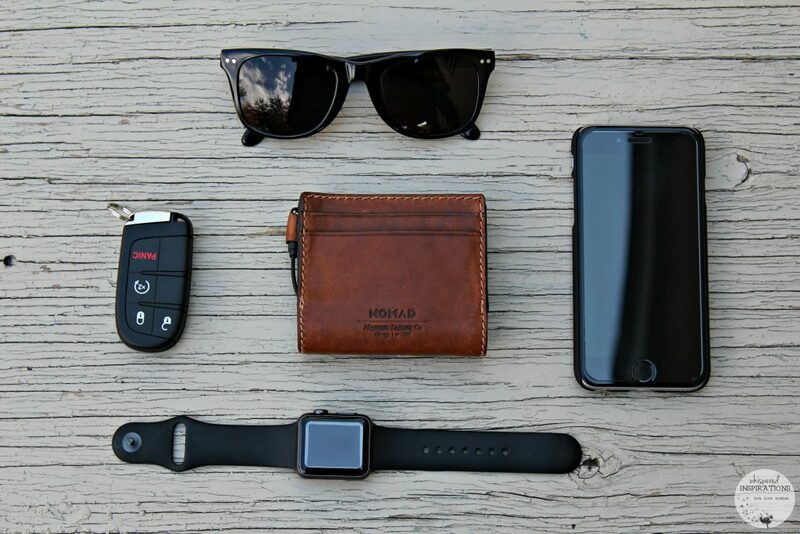 Well, apart from looking the part of a designer wallet and the beautiful Horween leather that ages perfectly imperfectly–it charges fast! Hubs said that it charges quickly. He tested it when it was at 10% and in about 20 minutes, he was already at 53%. We have been on the road for the last 3 weeks on a road trip to discover Ontario and we’ve been documenting our way through it all. That’s a lot of juice on our devices and when we ran low, we were both able to charge our phones during meals and topped up our batteries to continue our adventures. Simple, unobtrusive and quick. To charge up the NOMAD slim wallet, we just did it overnight and we were good to go for the next leg of our trip. All in all, having a highly capable battery on you wherever you go is every heavy phone user’s dream. You don’t have to search for outlets, dim your screen and go into battery-save mode or worse–shut your phone off to conserve battery. 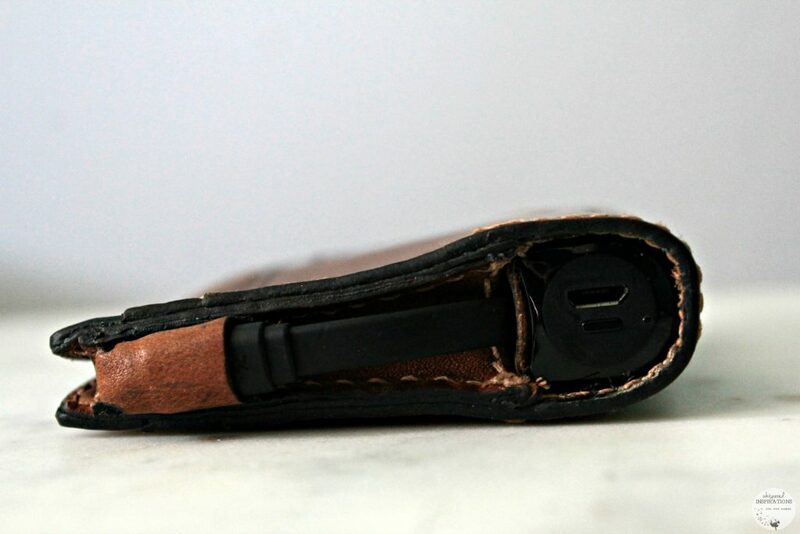 The NOMAD leather charging wallet makes a great gift, either for a loved one or even yourself. You can purchase the bi-fold wallet for $149.95 and the slim wallet for $119.95. Depending on your style and preference, I think it’s a great price for quality Horween leather and the ability to stay charged. GET ONE: Until the end of the month, enter WHISPERED for 15% off at check-out! So leave the cord and portable charger at home and use your wallet instead–like I said, it’s totally a thing now! For more information, visit www.hellonomad.com. Make sure to follow them on Facebook, Twitter and Instagram. How do you charge on-the-go? This is very useful! It could be a perfect gift those who love outdoor activities! Yes, I agree and for anyone really! How cool! Do these come in lady style wallets? I could use one! That would make a great gift for my hard to buy for husband. He loves interesting tech things so this would be perfect. My husband is the same way and he loved this! Whatttt!!! How cool is that? I know the perfect person for this wallet! Wow,thanks for the introduction sounds like a nice wallet. My pleasure, it is great! I want this, totally love it, thanks for the review!! Yes! I have even stole it from him and used it–love it! Looks like a sleek charger. I know my husband would much rather prefer this one VS the pink one we have. Haha, I am positive he would love this one! 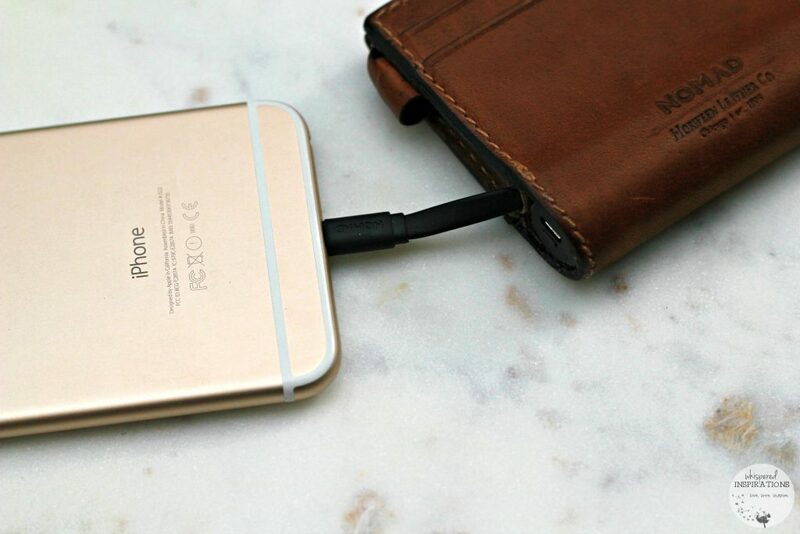 Wow I like that the charger is right on your wallet, this is great for o the go! It really is great for on-the-go! Very cool! I love how stylish it is. My iPhone is always running out of power. This sounds like the perfect solution. It really is a great piece of tech! My husband needs this so badly! He is always losing charge on his phone because he works long hours. Brilliant! RFID protection too. Could really have used this while in airports where every charger seems to be taken. Yes, it is perfect for that! Darn i was going to get hubby a wallet like this and i forgot all about it till today,oh well maybe for bd.